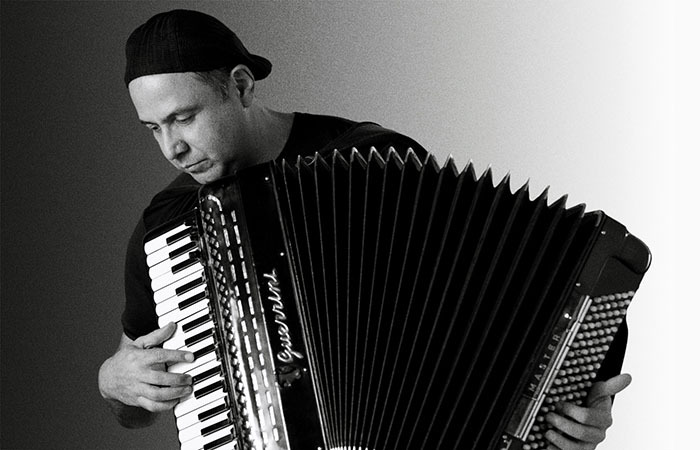 Whether he came to the accordion by way of the forró—xôte and Baião—or by way of the gaucho bands that he often plays in, Toninho Ferragutti has now mastered the instrument. However, he is now more than a virtuoso; the complete mastery of the emotion and the magical idiosyncrasies of the instrument have made Mr. Ferragutti one of its grand masters in the same way that Luis Gonzaga and Dominguinhos are. Being as it is, like a hyper-harmonica, the accordion can facilitate harmonic overtones like few other instruments. It also features the blithe spirit of the violin and the gravitas of the cello, but sounds as if it were a horn. In the hands of someone such as Mr. Ferragutti, it becomes magical; almost orchestral in and of itself. And like someone caressing the instrument as if it were a woman in his arms, Toninho Ferragutti ushers and cajoles and guides it gracefully, as he would his favourite dancing partner as they move masterfully through a formal waltz or a tango or a Pasodoble or—and this seems more like a Brasilian would do—put her through the frenzied steps of a forró or through a Sertanejo or Caipira music; even the maddeningly beautiful dance routines when Junina music is played at the São João Festival. 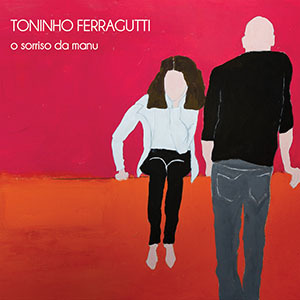 Toninho Ferragutti does all of this as well as compose and arrange the most extraordinary music on O Sorriso da Manu, where pieces of music seem to be strung together to make up an exquisite suite as magical as music that Paul Hindemith or Alban Berg might have composed in modern day Brasil. It is music that is chromatically beautiful and includes one of the most gorgeous pieces of choro music “Choro Da Madrugada” to come out of that country’s musicians’ books. And then there is the magnificent portrait, “Balanguinha” with its mighty gravitas ensconced within its svelte waltz form that breaks out into sudden rhythmic changes, casting it against a backdrop of earthy colours and tones. But it is not just these two pieces at the end of the suite that are attractive to the inner ear. There is indeed a mesmerising quality to the entire piece of music and it begins with the arcing beauty of “Circuleta” which plays out as if it were a dancer making hypnotic pirouettes on a waxen floor. The brooding quality of the two musical journeys of the mind: “Trilha Feita À Mão” and “Trilha Feita a Lápis” feature some of the finest soli on the recording. The music of sections entitled “Nova” and “Flamenta” as well as the portraits of his two daughters, Ö Sorriso Da Manu” and “Paçoquinha” are equally bewitching as any of the music on this recording. Toninho Ferragutti may be the star of this recording, but there is much to be said of his ensemble as well. This is not easy music to master. In fact it is a complex and beautiful—especially “Choro Da Madrugada”—as anything that Mario Adnet or the great Egberto Gismonti have written. However, the pianist, Paulo Braga, clarinetist Alexandre Ribeiro, bassist Zé Alexandre Carvalho and percussionist, Beto Angerosa; or the four strings players—violinists Ricardo Takahashi, Lilian Chiriac, violist Adriana Schincariol and violoncellist Raiff Dantas Barretto have come to make much of the harmonising their own. Also it must be said that the accordion can be overpowering harmonically because of the nature of its overtones that can be played at once. 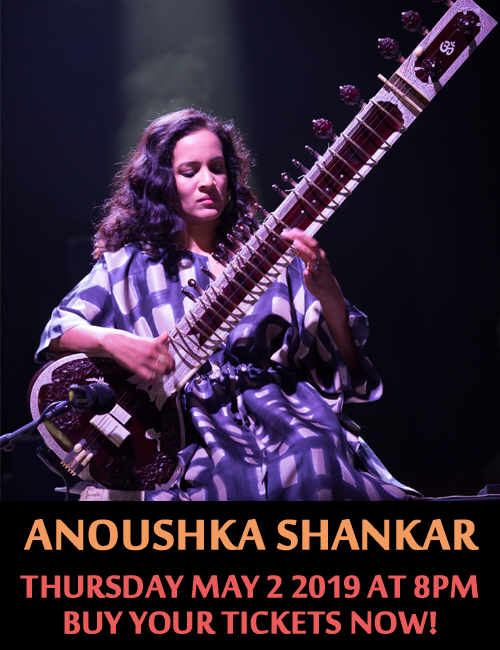 However, it is the ingenuity of the arranger and the exquisite engineering on this recording that allows each instrument to have its say, so to speak. This is why it feels as if the music comes alive like a suite to which a myriad of dancers are reacting to and dancing out in a sort of multi-media manner. And O Sorriso Da Manu easily becomes one of the finest record in 2013. Track List: Circuleta; Trilha Feita À Mão; Nova; Trilha Feita a Lápis; Flamenta; O Sorriso Da Manu; Paçoquinha; Choro Da Madrugada; Balanguinha. Personnel: Toninho Ferragutti: accordion; Alexandre Ribeiro: clarinet; Paulo Braga: piano; Zé Alexandre Carvalho: contrabass; Beto Angerosa: percussion; Ricardo Takahashi: violin; Liliana Chiriac: violin; Adriana Schincariol: viola; Raiff Dantas Barreto: violoncello.